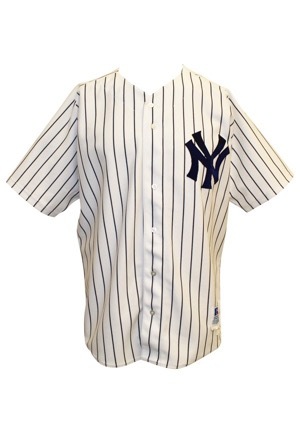 The New York Yankees won their 24th World Series Championship in 1998. O’Neill enjoyed another outstanding offensive season batting. 317 and driving in 116 runs. 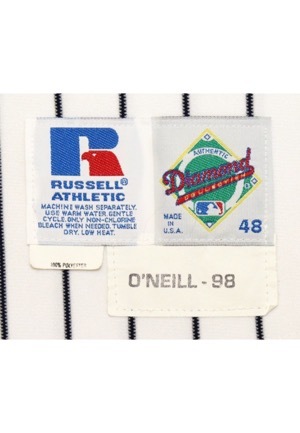 On the front left tail is the Russell Athletic manufacturer’s tag size “48” with washing instructions. Attached is a flag tag reading “100% POLYESTER”. Adjacent below is a strip tag reading “O’NEILL - 98”. On the left chest is the Yankees interlocking “NY” logo and across the back is the player number “21”. All numbering and lettering is done in navy blue tackle twill. 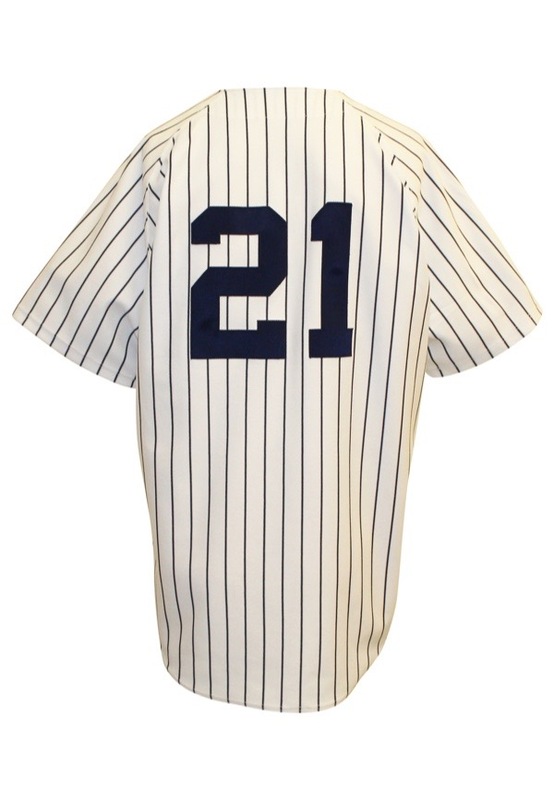 This jersey is properly tagged, was presented to us as game-used and in our opinion shows appropriate use.